$1,000 has been raised which equals about 20 shelters built! Each shelter can hold up to 5 families, that means at least 100 people have been helped through this giving! I know many families are still suffering without shelter or food, but I am HOPEFUL that international neighbors and friends of Nepal are sharing their burden and doing more good than I will never know. Because we have seen such generosity, all the thousands of other people who are working hard to help Nepal, they must be making strides to. Even though the rebuilding process will take time, the little moves we make forward together are life changing for those individuals involved. I wish I had testimonies and stories to share, names and places of families being helped, but I don’t. And you know why? Because our friends are hard at work traveling and visiting those in need in villages. They are tired, they are suffering through the heat of the monsoon and they honestly don’t have time to sit and communicate long stories to me…but I trust that lives are being changed! And when the time is right, I will hear those stories and pass it along! Thanks for being a part of Nepal! You can give or share our Sheltering Nepal fundraiser by checking it out on YouCaring.com. Click here to see the Sheltering Nepal fundraiser! Please remember anytime you buy a My Color Friends paperback book, $5 will also go to this fundraiser for Nepali families! Graceful Grey, Asian Elephants at Work and Play NEW on Amazon! Take a ride on my friend Graceful Grey through the jungles of Nepal and discover the uniqueness of Asian elephants compared to Africa elephants. 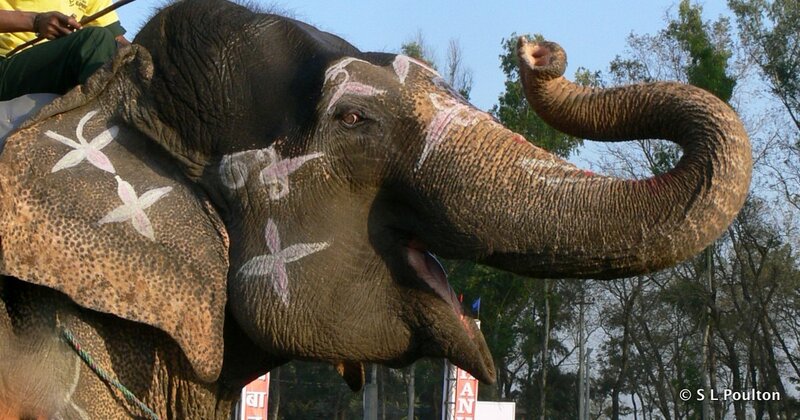 You can also cheer for your favorite elephant during the elephant races and soccer tournaments at the Chitwan Elephant Festival. And you’ll also meet curious baby elephants at the Elephant Breeding Center in Nepal. With real life photos taken by the author in Chitwan, Nepal, this book is fun and educational for the whole family! Graceful Grey is part of the My Color Friends book series dedicated to exploring the colors of the world. Read Graceful Grey Now on your kindle! Also read White Went Around the World for FREE on Smashwords.com! With a bit of good fortune, Graceful Grey will be available on Amazon.com when America wakes up on Saturday morning! My supportive husband gets the credit for taking the 3 rascals this morning and answering my, “Honey, does my description sound good?” interruptions. The boys are asleep, my daughter is mixing all the Barbie movie soundtracks while she does a puzzle, and I can relax knowing that I’m done with all the uploads! I like elephants. They are my mom’s favorites. My toddler screams in delight every time he sees one, and we are blessed to see them LIVE about once a year. What a great way to summarize our 4 years in Nepal with a children’s ebook about Asian elephants in Chitwan, Nepal. Time for some celebration chocolate! Our third annual family adventure with baby elephants in Nepal! It was so much fun! Read all about the Elephant Festival and learn about Asian elephants in Graceful Grey, Asian Elephants at Work and Play by S. L. Poulton! Now available for Nook, iBooks and more! Click here for Graceful Grey on Kindle!